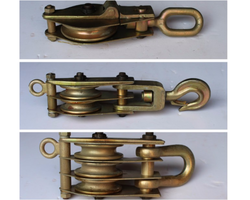 Pioneers in the industry, we offer bottom pulley block, pilling pulley block, equalizer pulley block and manila rope pulley block from India. 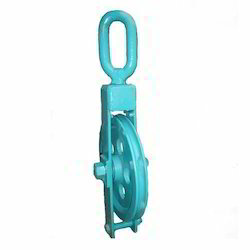 We are the leading manufacturers and suppliers of a wide gamut of Bottom Pulley Block. These blocks are manufactured using high quality steel and other raw materials employing latest techniques. All the bottom blocks offered by us are widely demanded by our clients for its corrosion resistance nature and high functionality. To meet the distinguish needs of our clients, we offer these products from us in various shapes and sizes at economical price. We are one of the accredited manufacturers and suppliers of a wide assortment of Pilling Pulley Block. These pilling pulley blocks are manufactured using superior quality raw material usually steel which we source from trusted vendors of the market. All the pulley blocks offered by us are developed and designed in compliance with international quality standards. Further, these handling pulley blocks are widely demanded by our clients for its high efficiency, durability and longer service life. We are instrumental in manufacturing and supplying a wide range of Equalizer Pulley Block. These pulley blocks are widely used in heavy duty applications in industries for its excellent features like sturdiness, smooth finish and longer service life. All our products are manufactured using high quality raw material in compliance with international quality standards. Further, we offer these pulley blocks with various customized specifications to meet the variegated demands of our clients. In order to fulfill the ever changing demands of our clients, we are engaged in offering a wide assortment of Manila Rope Pulley Block. 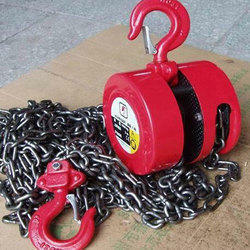 All the pulley block offered by us are widely used in mining industry and construction industry. 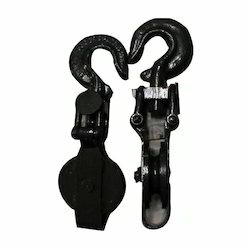 These pulley blocks are manufactured using superior quality raw material employing latest tools and techniques. To meet the distinguish needs of our valuable patrons, we offer these pulley blocks in various shapes, sizes and patterns. Looking for Industrial Pulley Block ?